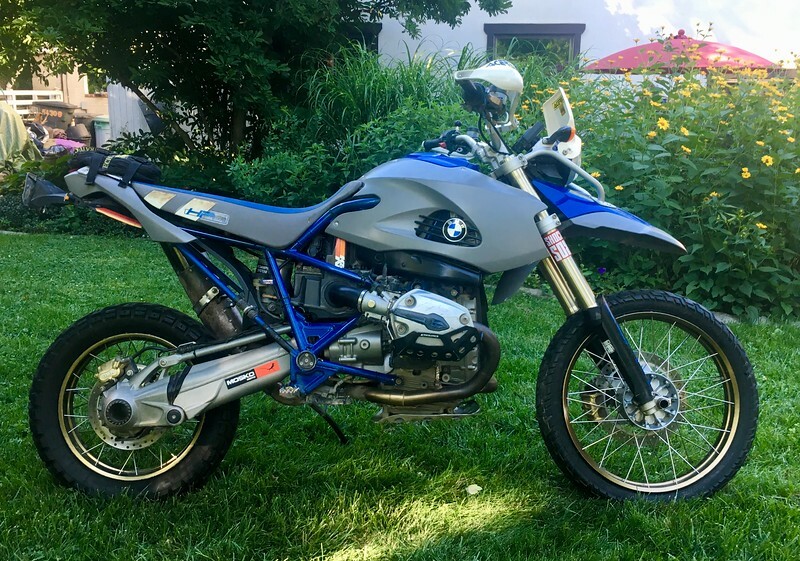 FOR SALE: 2006 BMW HP2 ENDURO - SOLD!!! 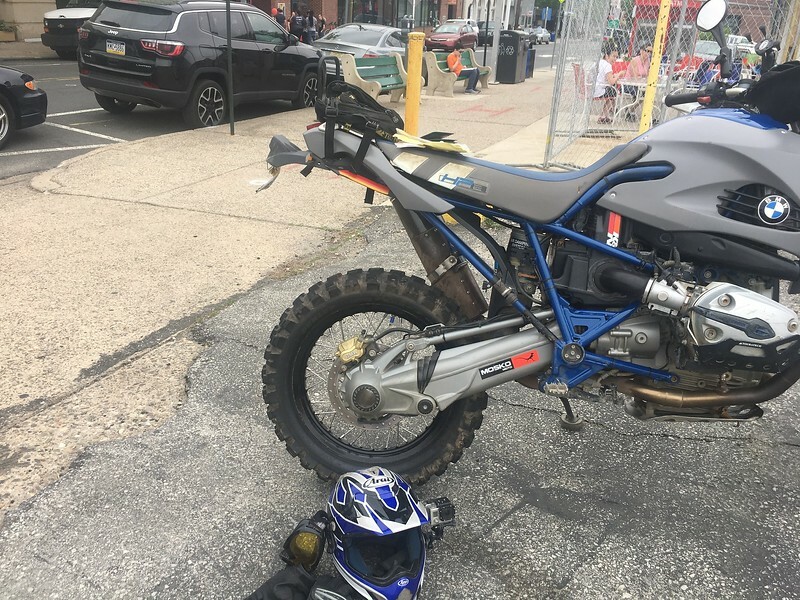 [/b] This bike has a salvage Pennsylvania title and is being sold AS IS. I was rear-ended by a distracted driver on May 5th and my insurance totaled the bike. I bought it back because I thought I might rebuild it or use it for parts, but I do not have the time or space to do either. I rode the bike home from the accident which was about 2 miles and it ran and shifted fine, but was louder than usual because of the bent exhaust. I have not started the bike since then and the battery is dead. The first set of pics are the present condition July 9, 2018, at my house with stock rims. The bike will come with stock rims as pictured and some extra parts including the stock exhaust, an extra front wheel, and the manuals that came with the bike. It is being sold AS-IS with the salvage title. The next two pictures are of the bike spray painted black and blue (previous owners choice of colors and paint) the day I got home from Alabama with it in March of 2017. The next pictures are of what it looked like when I redid a lot of it and did a few off-road test rides. The pictures start in August of 2017 and go until April 2018. I did two rallyes on the bike including the Touratech East Rallye and the NSBMW Last Chance Rallye. The next pictures starting with the picture of the bike on its left side are the accident pictures including the damage to the bike and the dame to the car. A few of them were taken right after I got hit and was waiting for the police to come. The accident took place on May 5, 2018. The last three pics of the Quaker City BMW estimate to repair the bike and the mileage on the bike now. 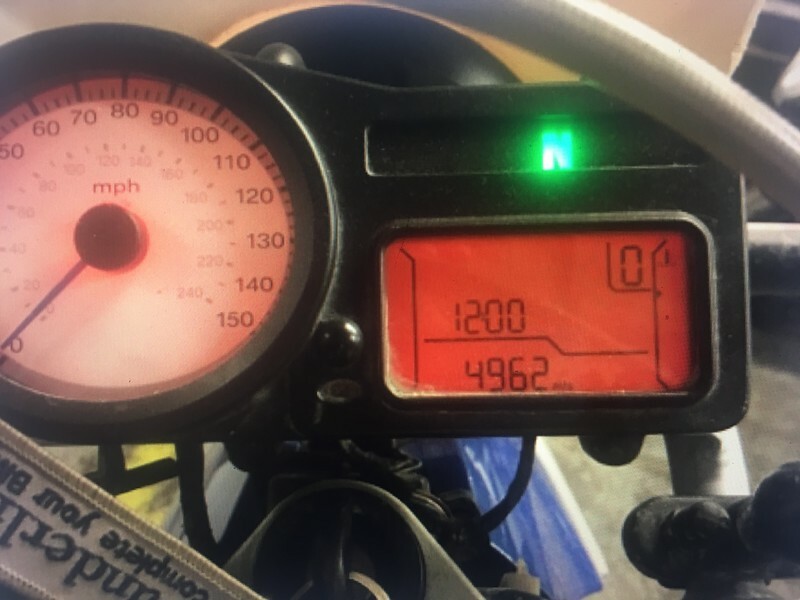 I stated to the Pennsylvania DMV that I was not sure of the exact mileage on the bike because when the previous owner had it in Korea, he used it as a motocross bike and removed many parts.